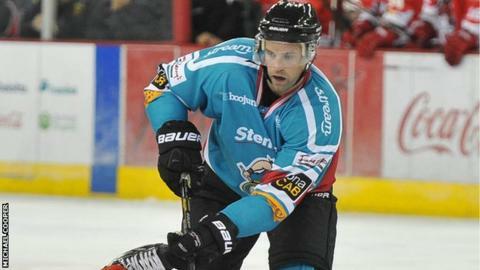 Belfast Giants fell to a surprise 5-3 defeat by Edinburgh Capitals in Saturday night's league and Challenge Cup game in Scotland. It was the Elite League's top versus bottom and Evan Cheverie put leaders Belfast ahead after five minutes. Edinburgh hit back with goals from Jade Portwood and Tomas Horna but Cheverie scored twice in 42 seconds to restore the visitor's lead. Peter Holecko netted before a Richard Hartman double won it for the Scots. Cheverie's two-goal burst came five minutes into the second period and it completed the centre's hat-trick. However, Holecko equalised in the last minute of the second period with Hartmann's two goals coming in the third period. The Giants stay in Scotland for their Challenge Cup clash on Sunday against Fife.